This morning we have みぞれ Mizore, half snow half rain in Hirafu village level but higher up….we have snow! Looks like this week we will receive some significant snowfall with Mountainwatch predicting 48cm for Niseko in their 7 day worldwide forecast!! 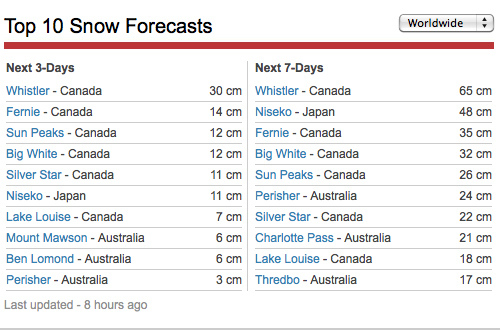 I can believe Niseko will get 48 cm but there is surely no way us Aussies are going to get the snow they are predicting. Half of NSW has been and is on fire!!! Hi Herman, Yes i am not sure about the snow situation in Australia but stranger things have happened! 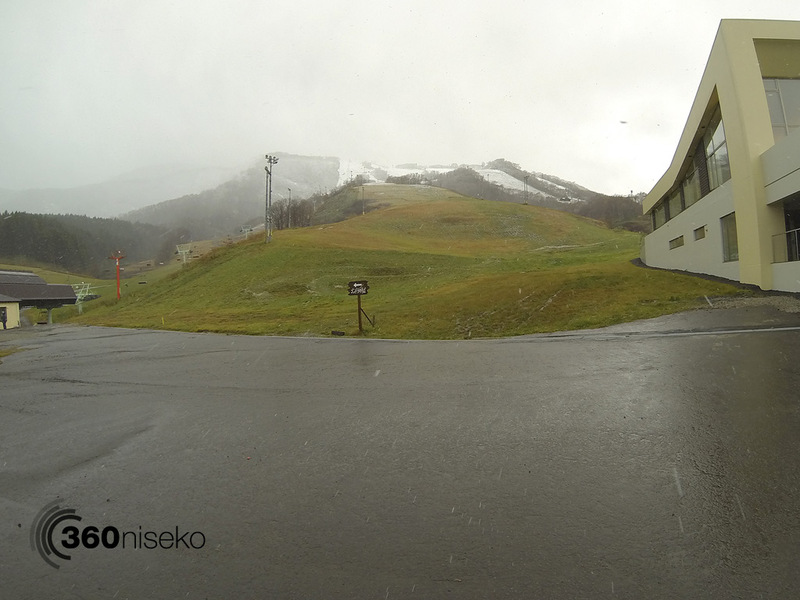 The snow has slowly descended down the mountain here in Niseko today and the entire village has a sprinkling of snow this evening! First tracks!?! Seems fairly early this year or do you normally get falls to village level around this time of year? Either way photo’s have me pumped! Enjoy your first tracks! Hi Tim – thanks for the comments. We don’t think it is earlier than usual. Will be interesting to see if the snow remains for the the rest of he season or melts in the lead up to opening day here in Hirafu. WOW my partner and I are there on the 18th of December and the snow is looking good there now. I cannot wait to see the photos in 7 days of the snow conditions. Look forward to the awesome skiing. From Johannesburg and Melbourne. 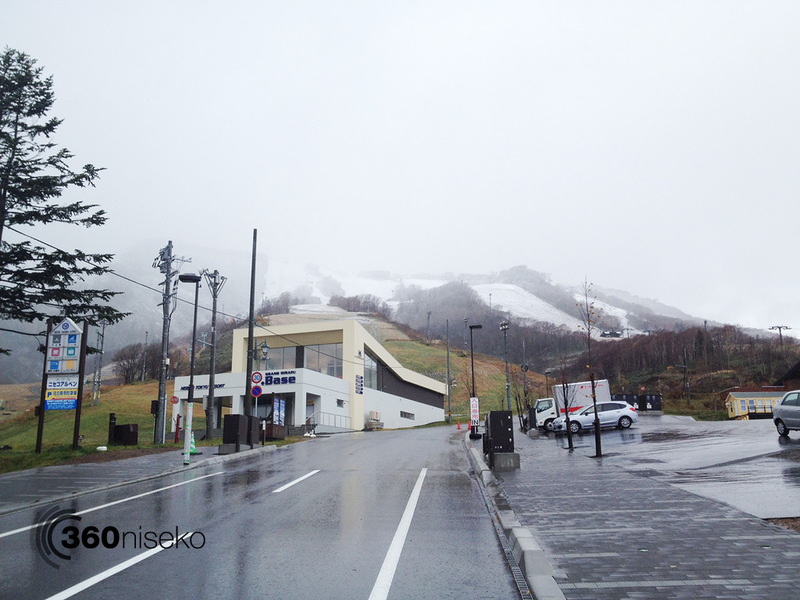 Hi David – it is miraculous how quickly things can change here in Niseko! The transformation into winter happens so quickly that it catches even seasoned locals by surprise. Thanks for following and hope you have a great trip next month. The photos look great, love living the pre season build up through this site. It must be a great feeling being there and watching the landscape transform. Looking at the webcams this morning I don’t think you will have too many problems getting your first tracks in today!!! Hi Aaron. 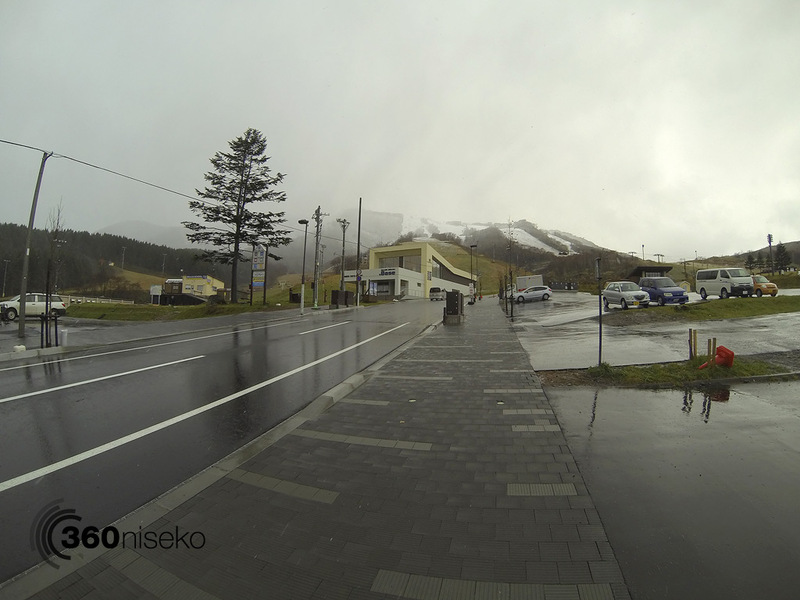 Thanks very much it is a lot of fun getting out there and capturing the changing seasons here in Niseko. Thanks for following and photos and video will be following shortly. Cheers! Can’t believe Thredbo will get 17cm…surely that’s more than they had all Winter?? Hi Lesley…ouch! Fingers crossed for a good season here in Niseko. Thanks for following!